Mental health conditions affect one in 10 people at any one time and account for a large proportion of non-fatal disease burden. There is a high degree of comorbidity between mental health conditions such as depression and other noncommunicable diseases (NCDs), including cardiovascular disease, diabetes and alcohol-use disorders. 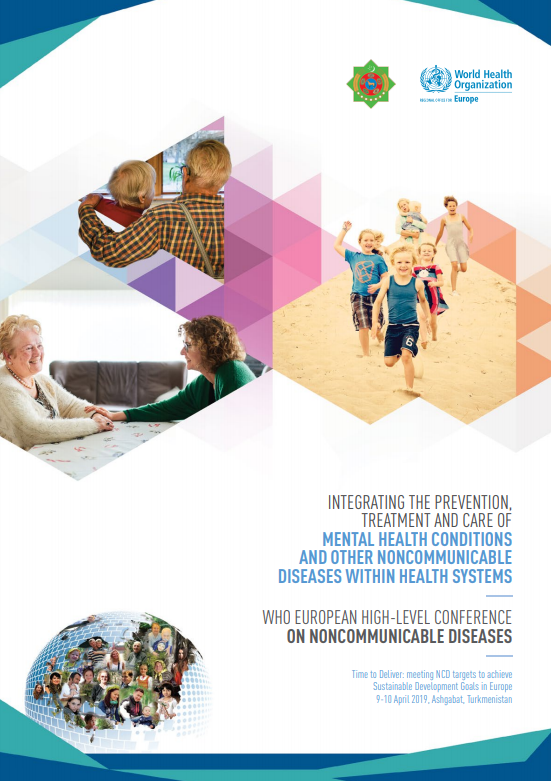 Mental disorders share common features with other NCDs, including many underlying causes and overarching consequences, their high interdependency and tendency to co-occur, and their predilection to being best managed using integrated approaches. Pathways to more integrated planning and programming include: population-wide policy measures that seek to enhance awareness about, and reduce demand for, risk factors for NCDs and mental health conditions (via legislation, regulation and information); community-based programmes carried out in schools, workplaces and communities to promote mental and physical well-being; and health-care services providing more person-centred, coordinated care to people with (often comorbid) mental and physical health conditions. The successful promotion, uptake and implementation of these actions or interventions depends on several factors, including effective advocacy, strong leadership, reconfigured financing measures and enhanced monitoring and evaluation of needs and impacts.